This is a photograph showing soldiers in the Y.M.C.A. at Camp Funston during World War I. 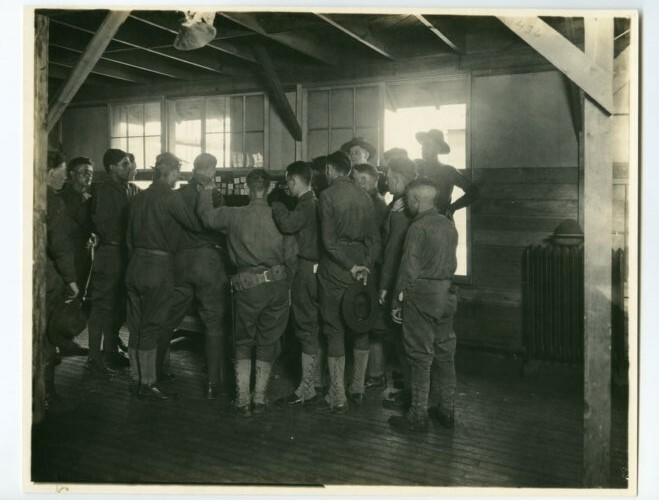 Camp Funston was located on the Fort Riley military reservation near Junction City, Kansas. The facility, named after Brigadier General Frederick Funston, was the largest of 16 divisional cantonment training camps built during World War I to house and train soldiers for military duty.